We are super thrilled to announce the availability of NewsHunt on Windows Phone store. This has been a long requested platform by our users – and we are excited to see the positive initial reviews coming in. 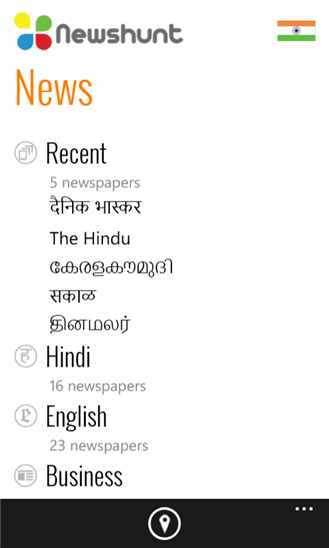 It brings in the familiar features of reading regional language newspapers in 11 languages in India, and now also includes support for regional newspapers from Bangladesh and Africa. NewsHunt is now the number one news application on both iOS & Android stores in India, and we hope that this release will lead the charts on Windows Phone too! Please install NewsHunt on Windows Phone today, and let us know what you think.